This entry was posted on Monday, December 16th, 2013 at 12:20 pm	and is filed under . You can follow any responses to this entry through the RSS 2.0 feed. You can leave a response, or trackback from your own site. so i started at a website URLed: https://theuselessweb.site/? and I clicked the button and was eventually forworeded to https://theuselessweb.site/omglasergunspewpewpew/ where i clicked the squirel on the bottom oh by the way im in january 2019 shortly after the queens horse died rn for all future finders 🙂 and im from the us im a 15 year old male born in mossouri during the month of april and apperently juuling ( vapeing basicly water vapor mixxed with flavoring and nicotiene [don’t know how to spell well]) is cool oh and trump is president most hate him but i think he is kinda cool. well if any squirrels are reading this then i hid nut in my balls when i was borned lol um so what could happen in a few years oh something important if you find this the code is 8675309 and the phrase is “I am back” and if you get a responce “its not you” then run as far as possible or type in the whole alphabet backwords into the keypad or mabby i won’t get around to finishing it. located in the united states in 2019 in a subsection of the united states called a state which has been named iowa and i of course live on a planet called earth that is in our suns solar system (sol) and we right now are on the outer edge of the milky way galaxy. I’m guy of future. 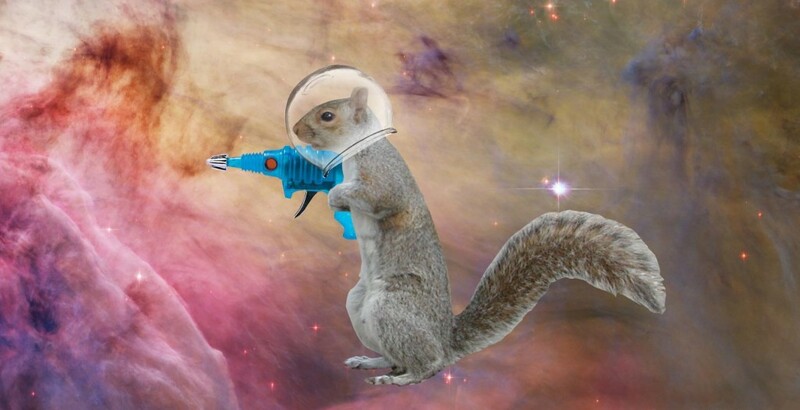 THe squirrels will command the world, dunt trust them, they will kill u! Their leader is Huran, the squirrel of the laser, it was not a legend, he exist..dont trust them, dont trust in this site. They’re spying u! Turn off your machime.. Good Bye buddy, see u in the day of the last Battle for the humanity! I enjoyed your shooting squirrel game; however, I was disappointed to have returned and found you have changed it. It was MUCH funnier shooting the floating Trump heads. Rocks? Really? what is my life. how did I end up like this, here. I am being possed at this moment by a squirrel. my eyes are fogging. my head is dropping. Im falling from reality. Oh my God, —, are you OK??? Sluut Geerl, I will save you… if you go out with me. I’m here because i have lost control of my life and am spiraling into a deep pit of depression and anxiety. This may be the last time anybody will ever hear from me.. I was kidnapped about two years ago, I am living in a cage in somebody’s basement. It is almost like a dungeon, they will not let me do anything in here but lay down; I am fed three times a day, I have a sink, toilet, and shower with running water, I have a bed with a pillow and blanket. They came down to feed me and dropped their phone – I saw it falling so I coughed to hide the sound of it falling. I came to this website to post to say hello to my brother and tell him that I am alive, and ok. I will post some update as soon as I can, if I can.. Gotta go now, can’t be long. This is a VERY weird website. HUNGRYYYYYYYYY SQUIRRELS FEED THE CLANS…. I am a warrior cat. Squirrels are food. This makes me hungry. Who else enjoys seeing Germans trying to say squirrel? Squirrel is threat to glorious motherland. Premier Langovski, Minister of Information Dunechya, and Supreme Leader Doge request the deletion of this capitalist site. Glory to Dogetratzka. Help me. I’m being held hostage by squirrels who are forcing me to send out emails as a nigerian prince. wow nice speech, now I dont want to play with the squirels. there is also a gang of squirels living in the tree right outside my house, help! Happiness is delicious when served with savory phone gravy. The tooth fairy done it. oops I am too awesome to notice the word awesome in ma name is spelt wrong! must be my crappy computer keyboard. all good now! is this a legit place or am I just TOO awesome to think about it?! What is this why is this ? Im confused I was just shooting my lazar gun and now im here? WHERE AM I?! Even though I think I took a wrong turn somewhere and accidentally up here, I’m positive I took a wrong turn and accidentally ended up here. Excuse me while I devote my life to the way of the squirrel . Squirrels are love, squirrels are life . The blog does not open, at least for me. Shame. I am intrigued by the way of the squirrel, and I am more than willing to devote my life to the pursuit of this way of life. Thank you. I was hoping to see some squirrels fornicating. Raiha, I have friended you on facebook (Jacob S.) you need to add me! I think the guild is defunct. I haven’t played WOW in years. Sorry. How big is your guild and I was on the realm Lightning’s Blade, and it said, “0 players total”.? Wonderful place. Some other strange site brought me here. Mr. Raiha, how the hell you doin’ buddy? I ended up here omglasergunspewpewpew.com of course. You are so very astute in your observations of the usefulness of this site. Woah this blog is very useful i really like examining your articles. Continue being in the superior pictures! You know, many people are exploring this info, you might guide all of them significantly.